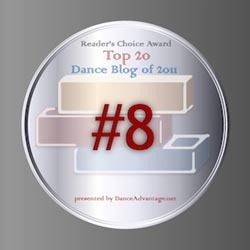 It’s that time of year again…time for the Dance Advantage Top Dance Blog contest. However, I simply don’t have the time or the desire to do a ton of promotion–basically asking over and over again–to get tons of comments here on the blog and then votes over at the Dance Advantage site during later rounds (should I qualify). That said, I am entering the contest. Why? 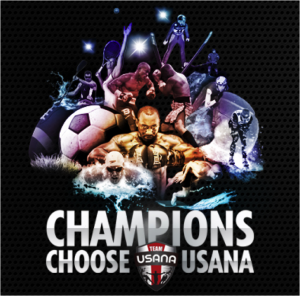 Winning or placing is always a great honor and is good for readership of this blog. The more readers I have, the more dancin’ boys and parents I can reach. Plus, entering offers me an opportunity to get feedback from my readers. Here’s the thing: I’m going to tell you how to help me win the contest–or at least get through the first stage. Then I’m going to ask you to do something of even more value to me. I am new to following blogs, new to this particular blog, and relatively new to being a proud Dance Mom. I feel like a divine hand guided my fingers to find this blog – it has told me just what I need to know at just the right time. I have to force myself not to stay up all night to keep reading and regret I haven’t had more time (yet) to delve into old posts. The Summer Dance Intensive Handbook is a great help. Since my dancer is auditioning to ABT in NYC for a SI, that specific info is extremely useful. My specific need is for info to get me up to speed, considering all these things: I am a relative newcomer to the journey of having a son who wants to be a professional ballet dancer, he is already 16, he has talent, and it seems everything is happening so fast for him (we don’t want to miss anything important). Two years ago he had never danced, one year ago I had never heard the words “summer intensive” and now he is on scholarship at a year round professional training program. Right now we are wondering when is the right time to have him be seen elsewhere besides the program he is in and loves (Nutmeg Conservatory for the Arts). A related question is when is the right time to spend the big bucks, give up the summer vacation or college fund, etc to pay for a SI that may not include housing or give even boys scholarships? Nutmeg has been wonderful and he plans at this point to return in the fall. He did so well in his first lead role with The Nutmeg Ballet Company during Nutcracker that it might be time to go elsewhere for the summer, like audition for ABT in NYC. But how do we know what is right to aim for and when? And what do I need to know soonest to be the best Dance Mom possible to help my son reach his dreams? Lots of my questions will probably get answered when I catch up and read the prior posts. I love how organized the blog is and how easy it is to find topics. Thank you, Nina! And also to all those adding their perspective in the comments. 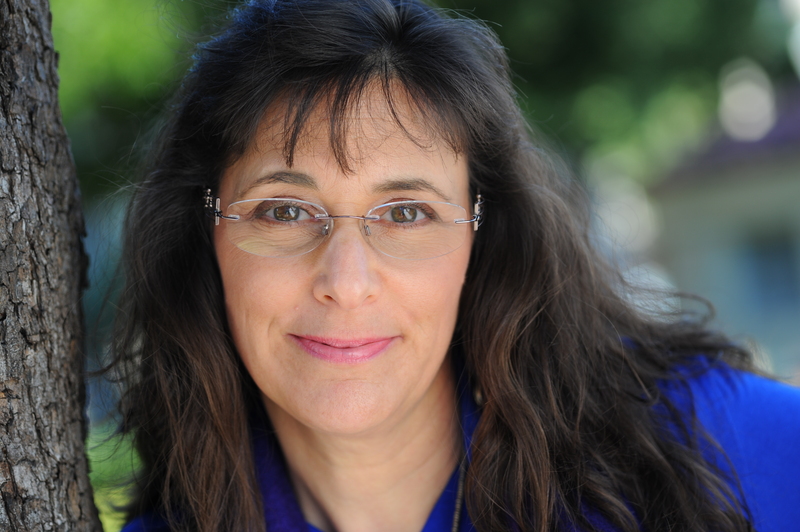 Nina– you know I love your blog! 🙂 I’m big on interviews, so I’d love to see some from both men and women commenting on how a man’s role has changed over the years. Good luck in the contest! I know Julian didn’t go to college for dance but I would love to hear some information from boys that decided to go to college and major in dance. It is often hard to find which programs have men that attend. I love the interviews. Another idea might be to post which summer intensives have men’s programs. There are so many that just don’t have many boys in attendance and most boys out there want to go to an intensive with lots of boys. Thanks for continuing this blog now that your son is a pro! I love this blog. It has been so helpful. As a mom of a dancing son, it is great to hear about your personal experiences. For future, maybe you could interview parents of dancing sons who are working their way up in their respective pre-pro schools, who are auditioning for 2nd company/corps positions or who want to pursue college while still dancing. Advice/interviews with professionals in the industry (from a teacher perspective or other) would also be helpful. Looking forward to 2013. Thanks, again. 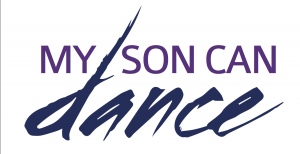 I have always thought that this is one of the best dance blogs out there, especially if you have a dancing boy who is serious about becoming a professional dancer and what it takes to get there. I think it addresses most of the trials, tribulations, joys, and rewards of that journey and a wonderful resource to prepare and plan for it. Full disclosure – I am Nina’s husband and Julian’s father. 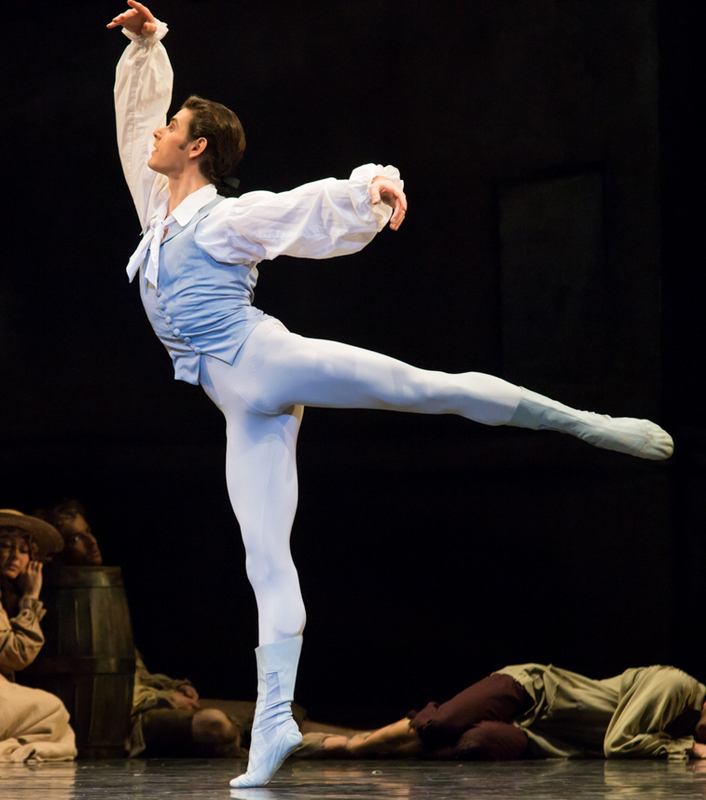 I would like to see more about Julian and his continuing journey as an apprentice, and, hopefully, as a full-fledged professional dancer in a company, but that may not be so appropriate at this stage. I must admit, I miss my dancin’ boy, but I am oh so proud of him and his perseverance and success. I did ballet for 12 years , danced with Charlize Theron at the Art School in Jhb…and yes, we only had one boy in the class…what a thrill to read about yours here! Anyway, so perhaps you could add something about dancing in later years, ie. for older men/women who might just like to take up the sport again for fitness and fun? I would like to see a post about August intensives. Where can a dancing boy get top-notch dance classes in August? Perhaps something about YAGP would be nice, too. For instance, I have always wondered if it is an advantage to do two classical variations at regionals, instead of one? I can’t seem to find that out. I agree with the above. Much of the value of the blog has just been knowing that we are not alone on this journey. That being said, I have a 9-going-on-10 danseur with a potential professional career ahead. I would find helpful articles that deal with navigating the upcoming years; how long to stay local with our classes; when should we get serious about getting out there & being “seen”; is it worth it & at what age is it worth it to go away to a full time training program; pros and cons of various SI and full time programs; what programs are good for what kinds of boys; the idea of teacher/professional interviews is great (eg what do they like to see? how can we be “good” parents to help our boys & their teachers? ); oh these are just a few! I’m sure I could go on!! In your future post I would like, if possible, read about Julian’s further development as a dancer. Also I would love to know your opinion on raising a dancing boy – what should or could be done to help him to achieve his fullest potential. Nina, I am happy for you that Julian has both studied dance in New York City and is now performing in Germany. This is sensitive issue, but here goes. I find myself thinking that men who participate in ballet are gay. You had a Tweet today in which you referenced a post from Oct. 22, 2011. You wrote about your husband and you going to New York City to see Julian at the School of American Ballet. You wrote that Julian “seems to have settled in nicely. He has friends – girls (no girl friend per se) and boys.” Do you have knowledge that can shed light on and help me get over my prejudicial thinking? I tried to come to grips with and have tried to accept homosexuality after my younger sister’s husband left her for a gay man when their oldest daughter was in college. I am still seeking enlightenment. I would love to have an information exchange among boys dance teachers where they can share tips, lessons plans, ideas, etc. Maybe set up a network of contact information. Julian performing in Germany!! Wow! I lost track of youfor a while and didn’t realize what was happening with his career. How old is he now? Our Emily (16), whom I had referenced in the past is still at American Ballet Theatre in Level 7. They have classes with Studio Company. Emily was one of 8 students of JKO taken to Rome in December to perform at the opera house, and to accept an award for JKO as the best ballet school of the year. (This award was given to the Bolshi Academy). She was also asked to dance in a documentary by Marcello Gomez Fall 2012. I am so glad that I stumbled across this blog. I have 2 sones–one who is 19 and then my 15 year old dancer. He has been dancing ever since he was 6: Irish dance, lyrical, tap, acro, contemporary & ballet. He performed in The Nutcracker this past December @ the WA Center for Performing Arts (mechanical doll in the party scene & the Russian dancers, and he just auditioned last weekend in Seattle for the ABT SUmmer Intensives. Just this past year he joined with a local Ballet studio and he is finally able to work with other teenage boys and men who dance. Sorry, forgot to suggest anything! Could you please discuss Summer Intensives and how they helped your son grow as a dancer? We are a bit nervous about him being gone for 3-4 weeks w/o us. Also what should our son (as well as us, his parents) do to make sure he grows as a dancer? Since I just found your blog and I’m in process of backreading almost all of your previous posts (I’m thirsty as well as a voracious reader of info) – you may have already blogged and written about what I may request. Just looking at the tag list tells me that! 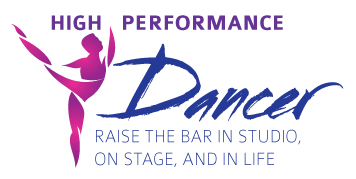 I want to know how to support my dancer – not just the big ways through $, finding summer programs, driving, signing up for classes, etc. But all the maybe not so obvious ways as well as the small ways. Supporting my son is also supporting the dancers at his studio and all kids who want to dance. How do I advocate for the kids who can’t afford the classes – in my own community? How can we promote that boys dancing is not a stereotype (ie., the Studio where some of ballet boys go back out to hunt after class)? Supporting in ways other than donating $. Supporting the boys -> more boys will try dance. Where do I find info on pyelometrics – jumping? 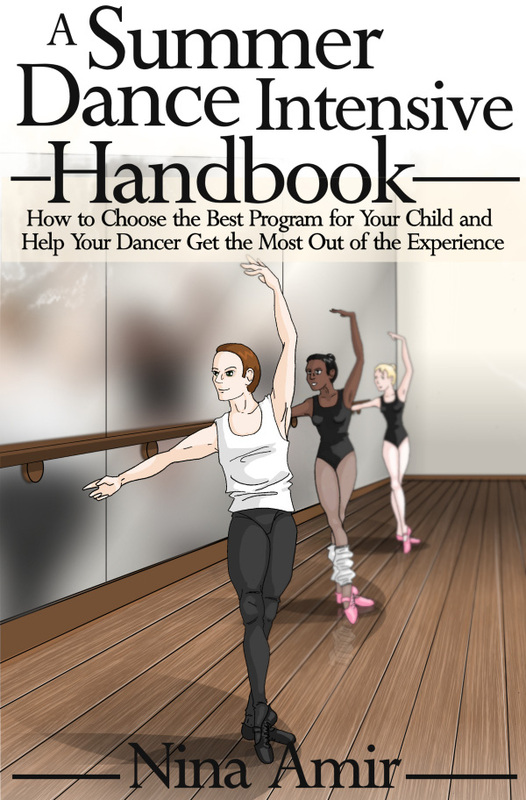 How about a Dummies Guide for the Parent of a Ballet Student? I admit my older son knows the French terms better than me. I have to return to studio in a bit and take some photos to submit for a summer program. Tips for taking good dance position photos. OK, I just finished reading the other comments and suggestions – you have plenty to keep you busy writing and researching. Wonderful ideas and suggestions that I didn’t think of but seeing their requests – yes, I want that too. A place for parents to somehow share and ask – maybe there already is – ?Facebook? I make an effort to encourage any of the little boys that take classes at my son’s studio – usually by encouraging the moms and their dads if I ever see the Dads. (There need to be more Dads showing up – that would help). I personally think Dads struggle with their sons dancing. Which is sad and frustrating. There’s another good topic!